WOW! Our STEM Ambassador Laura Bonnett announced as Rosalind Franklin Award Lecturer! YES, you heard it here first! 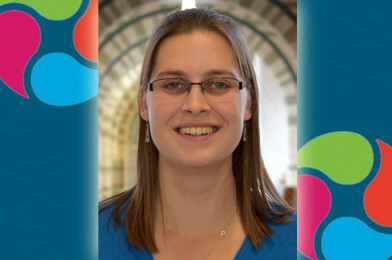 Our amazing STEM Ambassador Laura Bonnett, has just been announced as the Rosalind Franklin Award Lecturer thanks to a nomination by the British Science Association (Mathematical Sciences Section). Laura will be giving her lecture at the British Science Festival and details of the awards can be found here – she’ll be following in the footsteps of Professor Brian Cox! HUGE congratulations to Laura from all of us here at All About STEM, her research has changed people’s lives, she inspires young people and is dedicated to promoting STEM. A well deserved award and a fantastic achievement! Our STEM Ambassadors are amazing role models for our school students. Title: In the driving seat: what’s the risk with epilepsy? A ‘one-size fits all’ approach is often given to epilepsy patients by society, but Laura Bonnett, armed with statistics, sought to change this. By investigating the risk of epileptic seizures based on a person’s characteristics she influenced the DVLA to reduce their epilepsy driving restrictions. Here she explores ‘risk’ and shares her experience of the life-changing applications of statistics in epilepsy research.